WaterWerks Spring Edition 2015 Shirts have now been posted. 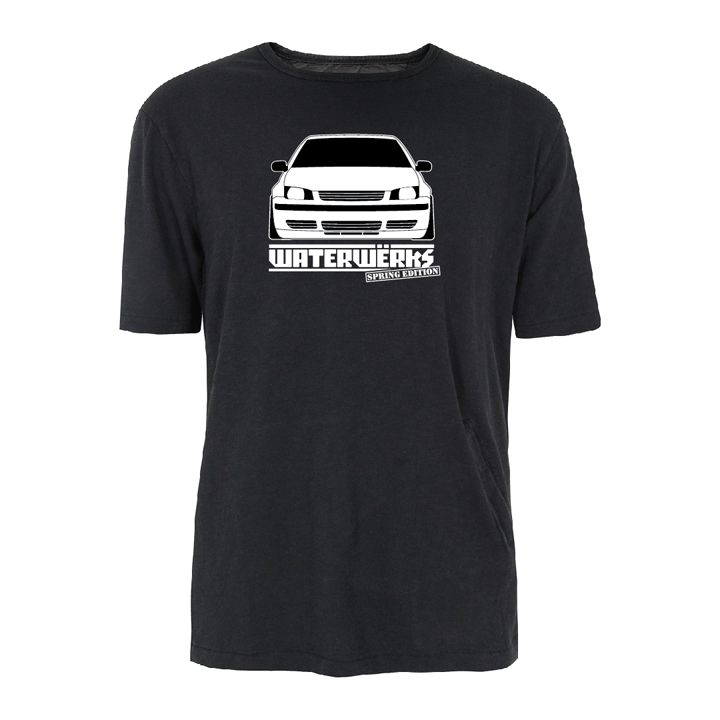 The Mk4 Jetta boser design will be on a black shirt with white ink. All sponsors and car club sponsors logo will be on the back with the WaterWerks logo and date of the event. You can preorder these shirts by clicking here or during the show registration process. There is limited quantities available so order yours now to guarentee that you will receive one. If you are interested in car club parking or sponsoring the event, feel free to contact us a info@waterwerksnw.com.